7 Kids and Us: Canyon Bakehouse Gluten Free Products Now Available at Target! Canyon Bakehouse Gluten Free Products Now Available at Target! As I have talked about before, Riley has to eat gluten free. Any kind of gluten and his eczema comes back, and when it comes back, it's bad. It's days and days of scratching and not scratching and pain. So, we have just found it way easier to be gluten free. We try as a family, but sometimes it's hard when gluten free products don't have the same taste/texture as those with gluten. Canyon Bakehouse makes some of the best tasting gluten free products we have tried! Normally, when I pick up a loaf of gluten free bread, it is so heavy and dense, I really like that Canyon Bakehouse breads are very much like a normal loaf. Also, at just around $5 a package, it's the least expensive GF bread I have found. 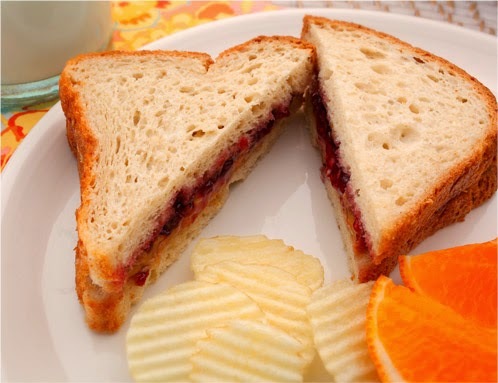 The Mountain White Sandwich Bread is deliciously soft and full of extra healthy goodness. 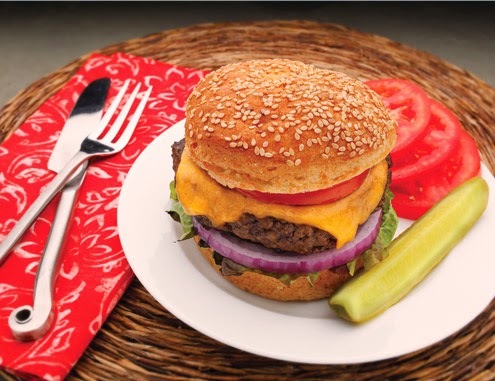 Enjoy it with PB&J, as a grilled cheese, BLT, or any way you wish! Be creative, and be healthy! Made with a long list of healthy ingredients, this gluten free bread is not only delicious, but it's nutritious, too. Each slice is loaded with 2 grams of protein and 2 grams of fiber. 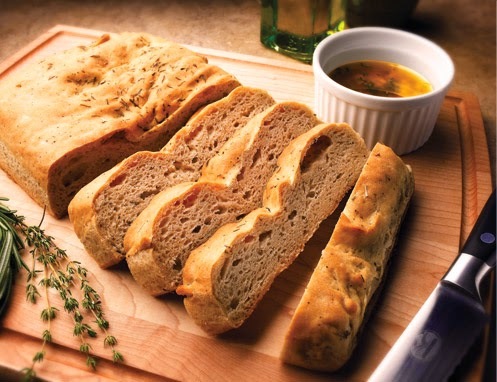 Made with a long list of healthy ingredients, this gluten free bread is not only delicious, but it's nutritious, too. Each serving is loaded with 3 grams of protein and 3 grams of fiber. Tastes like rye, without the rye. 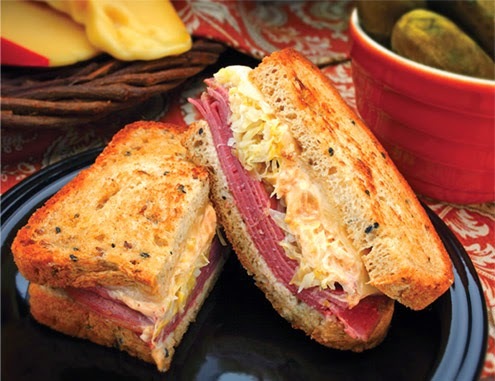 We're proud of our Deli Rye Style bread and its combination of caraway seeds and 100% whole grains. This bread has the traditional rye bread flavor you've been missing and the soft texture Canyon is known for. Made with a long list of healthy ingredients, this gluten free bread is not only delicious, but it's nutritious, too. Each slice is loaded with 2 grams of protein and 2 grams of fiber. And at just 70 calories, you can be proud to put it on your table. Each bag comes with four buns. Canyon Bakehouse is a dedicated gluten-free bakery located in Loveland, Colo. The family-owned bakery opened for business in 2009, recognizing the need for great-tasting, gluten free products that combine great flavor with soft texture and healthy ingredients. Made with 100% whole grains and only real-food, clean ingredients, the bakehouse has continued to expand its distribution, including more than 4,000 stores nationwide. Now, you can purchase these products at more in the bakery section of Target! Enter to win! 2 readers are going to win FIVE Canyon Bakehouse Products! Use the rafflecopter form below, and good luck! I would most like to try the cinnamon raisin bread. I would love to try the Cinnamon Raisin Bread. Thanks. I would like to try the Cinnamon Raisin Bread. 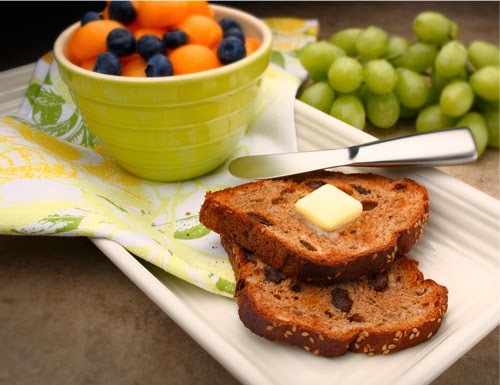 I love Cinnamon Raisin Bread!. We would like the Cinnamon Raisin Bread most. The focaccia bread sounds great!